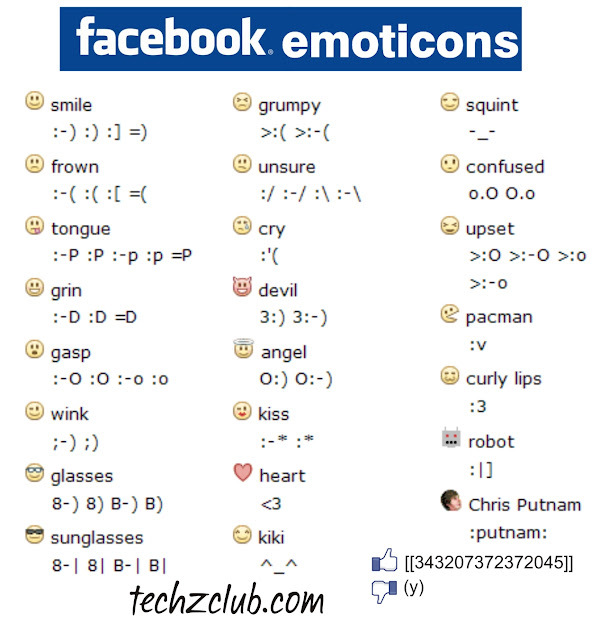 Well, Here are a Wide Range of Variety Emoticons Which you can use in your Facebook Chat Box!!! There are many many you can Use . . .
And to Use your Own Profile Pic as an Icon in Chat Box Check This out : Click Here! For the new Set of Smileys 2012 : Click Here! Useful Mobile Codes	How to Get your Profile Pic in Facebook Chat Box?